Hello! Today I have a little treat for you guys. 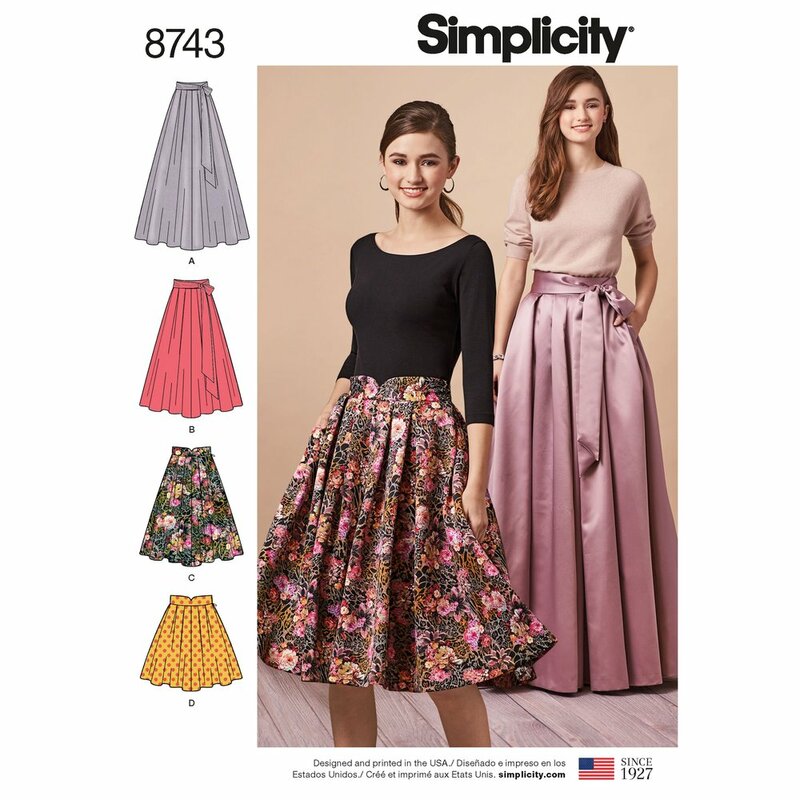 Back in October, Heather from Closet Case Patterns and Kelly of True Bias Patterns issued a challenge to the sewing community. The challenge was to sew some frosting. For those who are new to the sewing community or just need a refresher, the term “cake” and “frosting” was coined back around 2012 or so. Basically, “cake” was anything you sewed that was practical. This was the base of your wardrobe - the work horses. “Frosting” was the frivolous makes. It was the party dresses and the pretty things that you made just because you could. When they issued this challenge, I was inspired to sew some of my more precious items out of my stash. I wanted to get a few of these pretties out into the world instead of languishing in my stash. The end result was three separate “frosting” outfits that are a much needed addition to my wardrobe for those special events that often pop up rather unexpectedly. So here are my three looks and all their details! This outfit was put together for my cousin’s wedding. This is the only one that had an actual event or purpose before sewing. The wedding had an outdoor reception in a tent so I wanted something warm, but also dramatic. I think I achieved my drama goal with this skirt and turtleneck combination. This outfit turned out just the way I was seeing it in my mind. I love when that happens. I used S8743 for the skirt and my TNT Rowan Turtleneck for the top. Both the taffeta for the skirt and the rayon jersey for the top came from Textile Fabrics in Nashville during my getaway with my husband last month. While the turtleneck was very straight forward and a very quick make. This skirt was no joke. This skirt is a legitimate ball skirt. I was completed consumed by taffeta and netting by the end stages of sewing on this one. It also required that I cut everything out on the floor because not even my gigantic cutting table could handle the massive amounts of fabric that were required. I underlined the whole main body of the skirt in cotton lawn for some added stability and to help the taffeta not crush so badly. I finished the hem with self made bias binding (from a thrifted man’s tie) and then hand sewed a blind hem (that took FOREVER!). The lining had an added layer of gathered netting to help support the body of the skirt and to add some volume. The skirt has gorgeous deep box pleats and pockets. It’s finished with a nice wide waistband and a lovely sash that I tied in a bow. All in all, this outfit was perfect for the occasion and I received a lot of compliments which is always a nice bonus! This look was inspired by the fabric for the jacket. I bought this navy velveteen from Fabric Store about a year ago. I had no idea what I was going to use it for, but when it arrived I couldn’t get the idea of a tuxedo jacket out of my mind. My YouTube subscribers helped to solidify this idea when I showed the fabric. They also suggested that I sew contrasting lapels and a pair of tux pants to go along with the jacket. I had to agree! The jacket was made using B6523. While this is more of a smoking jacket and less of a tuxedo jacket, it still fit the vision. I went with a crepe backed satin for the lapels and pants. I used the satin side for the lapels and stripes on the pants and the crepe side for the main body of the pants. I sewed a size 10 at the shoulders and neckline and graded to a 14 in the armscye. Everything else was sewn in a 14. I didn’t need to an FBA for this one, which was a very pleasant surprise! The jacket is unlined with patch pockets and a waist tie. For the pants, I decided I wanted a tuxedo look, but something I could wear separately and more often. I dove into my pattern stash and found S8698. While these are actually track pants, they were perfect for the vision! I decided to only do one stripe down each leg instead of two to create less of a track pant vibe and more of a tuxedo pant feel. I really like how they turned out. I sewed up a size 12 and shortened the legs by 4 inches. I also shortened the rise by 2” in the front to nothing at the center back. The pants have an elastic waistband with a drawstring, pockets and a great little slit at the ankle. While I love the finished result on this one, I will probably be much more likely to wear these each separately which makes me very happy. The final look was completely inspired by the fabric for this one. I had this grape silk with gold zebra stripes in my stash from Mood Fabrics. I purchased 2 yards of this beautiful Philip Lim silk about 3 years ago and it’s just been sitting in my stash since then - so sad! Based on some feedback from a YouTube subscriber, I decided I needed to let the fabric do the talking on this one. I thought a shift dress would be perfect for this one and I had just the right pattern in my stash. I used a very unassuming pattern M6102. I have made this pattern 3 times before and knew it would be great. I did, however, want a little bit of drama for this wonderful fabric. I also wanted some sleeves because I will probably wear this in the winter with tights. As I was digging in my stash, I remembered S8506. I have had this pattern add-on for a while now and have really been curious as to how it works. It was so easy and has opened up so many options for other dresses and tops. Basically, you use the bodice template that’s included and redraw the armsyce on your dress or top pattern. You are then able to use any of these sleeves on your original garment. It’s genius and I have all the ideas to use a ton of old patterns! I went with sleeve G that has some fullness, but a wonderful tuck feature around the cuff. I lined the entire body of this dress, but left the sleeves unlined. I inserted an invisible zipper in the back and that was all she wrote on this one! So that wraps up my makes for the #sewfrosting challenge. I am so glad I participated in this challenge. It gave me a much needed push to chose some of my more precious fabrics and actually get them made up. Now they can be worn instead of sitting in a drawer! Up next will be the reveal of my first garment in my Closet Case Capsule so stay tuned!